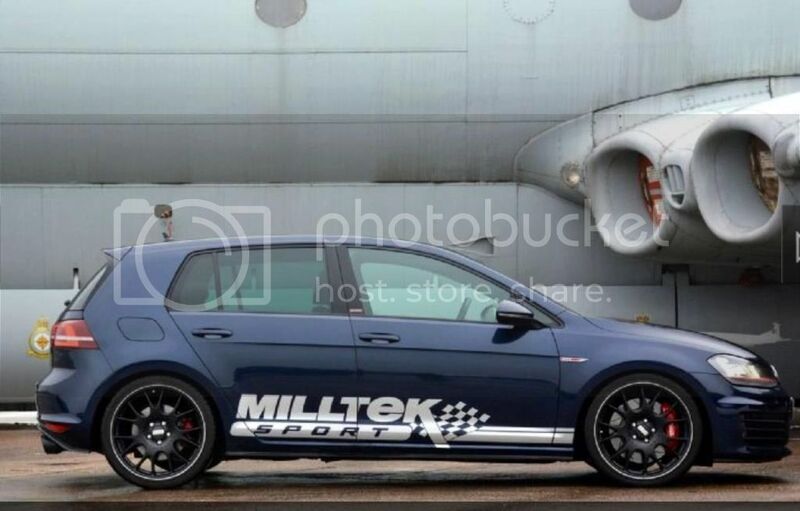 Following on from some threads started by Mr Scruff and taking a similar approach to another car forum thanks to Dutch77 (David) I'm going to introduce this thread as a resource area and source of inspiration for anyone with a MK7. 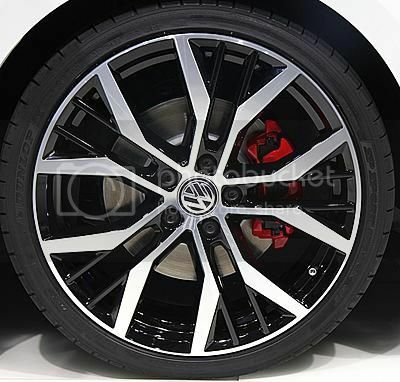 If you are new to the whole modifying game and want to fit new wheels to your MKVII please post your questions & suggestions here instead of starting a new thread. 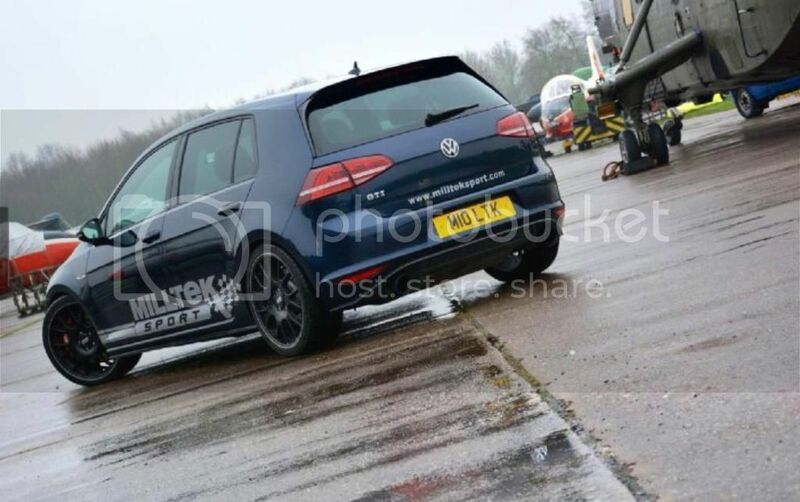 Also if you have any tips or experience in fitting wheels of any size to your MKVII please feel free to share your experience here. Any wheel with a 5x112 stud pattern up to 20 inch will fit. Wheel sizes between 18-19 will look the best. Any width up to 7 inches will fit without problems but any wider and you'll need to alter the car. brand, model, color, diameter, width and offset where known and also advise whether your car is running any modified suspension components which could impact the fitment. 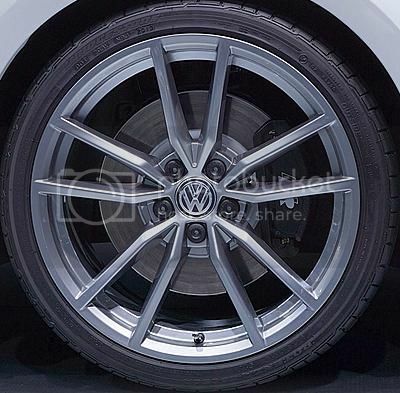 Important note: not all wheels in this thread are legal fitment in Australia. 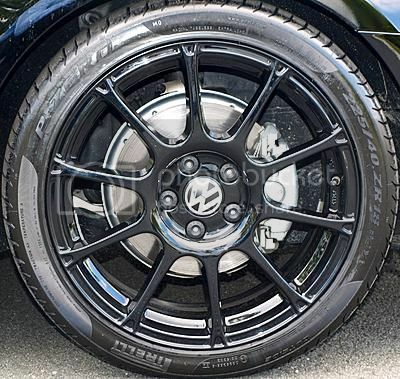 The thread should be used as a style guide only and any fitment issues checked prior to committing to a set of wheels. Feel free to post questions in the thread. Last edited by grandturismo; 20-05-2014 at 11:13 PM. 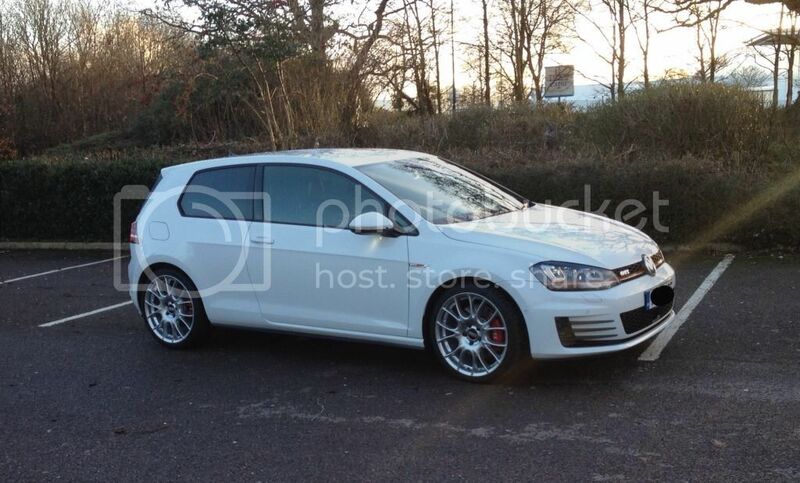 Very nice Alan, this will help a lot of people, when buying new wheels! if a forum member can provide the weight specs; that would be much appreciated. 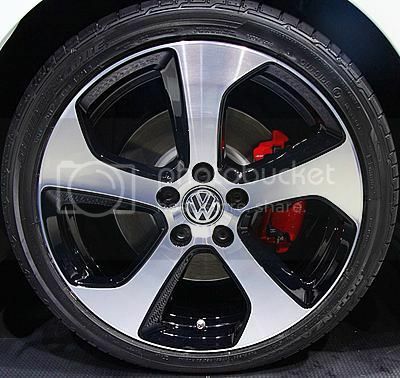 I have not seen these PRETORIA wheels as an option form a dealer. Thanks grandturismo for the introduction. 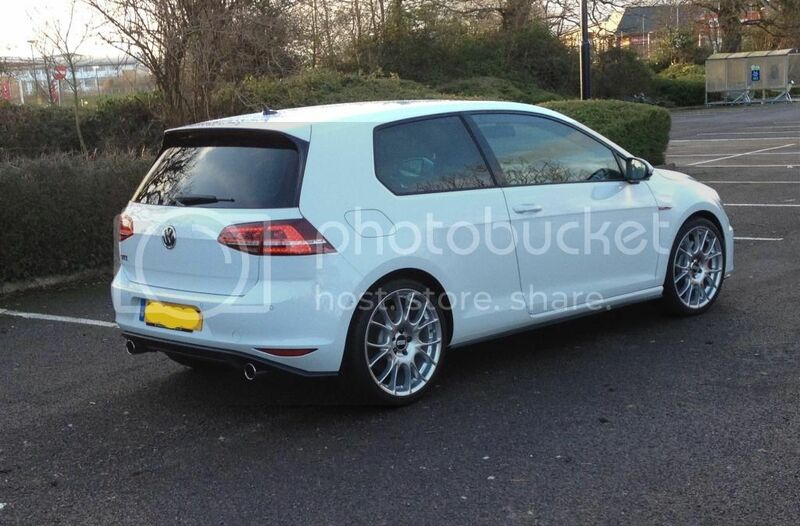 I started a thread on another forum for Mk7 wheels originally to help me choose wheels for my own ride, but it quickly snowballed into an 'official' wheel thread for all Mk7 owners. Over the next few days I'll update the thread for what I have posted on the original so apologies if there are double ups with existing photo threads over here. 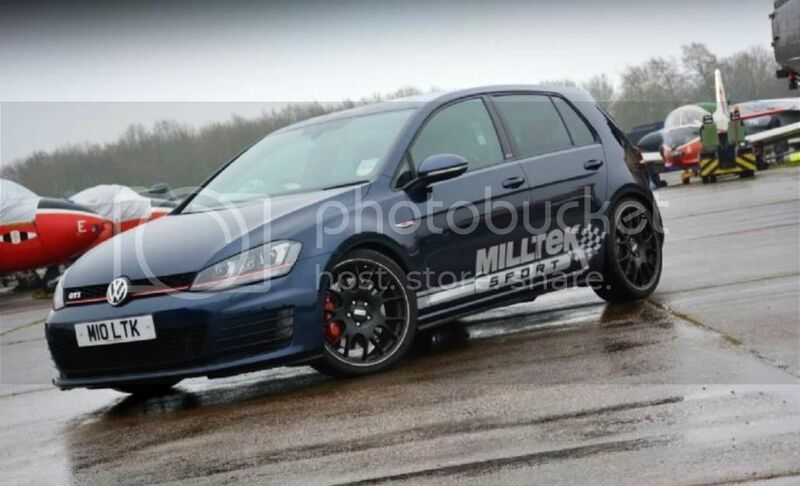 Basically I have been posting pics of various classic and new designs on Mk7s to assist owners with ideas for their cars and to stimulate a little discussion and debate. FYI on the Pretorias, at least one dealer is offering them as an option but you'd better be sitting down before asking the price - $1,800 a corner. You can also get them from Germany for around $4,000 plus freight, duties and taxes. 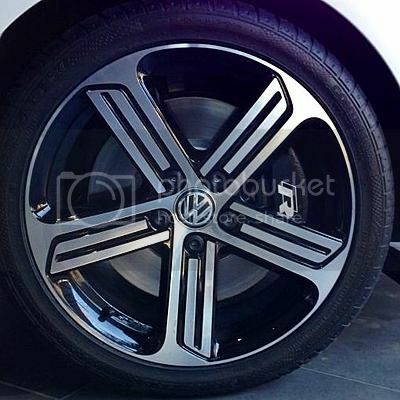 Nice design, and they are forged and supposedly lightweight, but I'll stick to non-OEM thanks. I haven't located OEM weights yet for the Mk7 wheels but can get a measure on the Austins as they are now sitting boxed in my laundry. I drive OZ UL in 8 x 18 ET45 and had 235/40/18 Conti tyres (wide for a 235) on them without any issues (front and back). Even when driving the Nordschleife very hard. So I can confirm this combination. If it could be be possible to go to 245/35/18 or 245/40/18 I don't know, but it looks as if it might be. Maybe if you chose a slim 245 tyre. Always a big fan of the CH but unsure if it works on the Mk7, and thinking the silver finish may work better on the darker color. At least on the black CH the stainless lip protector provides some definition to the wheel. Last edited by Dutch77; 22-05-2014 at 05:02 PM. Last edited by Dutch77; 22-05-2014 at 05:03 PM.